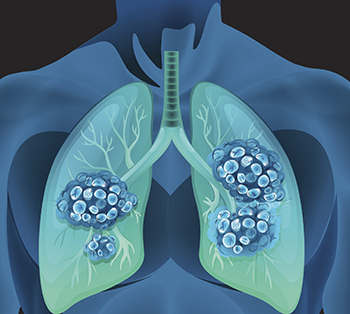 Last year saw significant progress against lung cancer, with seven new therapeutics, including two immunotherapeutics, approved by the U.S. Food and Drug Administration for treating patients with various forms of the disease. Despite the progress, lung cancer remains the leading cause of cancer-related death in the United States. In fact, it is estimated that there were 158,040 lung cancer deaths in the United States in 2015. About 250 physicians, researchers, and patient advocates will convene in San Diego starting today for the Fourth AACR-IASLC International Joint Conference: Lung Cancer Translational Science from the Bench to the Clinic. Later today, a diverse group of about 250 physicians, patient advocates, and scientists in basic, translational, and clinical lung cancer research will convene in San Diego for an international conference organized by the American Association for Cancer Research (AACR) and the International Association for the Study of Lung Cancer (IASLC). The focus of this Fourth AACR-IASLC International Joint Conference is “Lung Cancer Translational Science from the Bench to the Clinic,” and attendees will hear about the most up-to-date advances across the spectrum of lung cancer research. The four-day program features seven plenary sessions on topics that range from early detection and prevention to immunotherapy, drug resistance, and novel targets and pathways. One of the plenary sessions is devoted entirely to presentations of highly rated abstracts, most of which will be given by early-career investigators. As pointed out in a recent post on this blog, early-career researchers are the future of cancer science and the AACR is proud to provide a platform to showcase their work at an international conference. The conference program also includes a session that will highlight the role of advocates and advocacy organizations in driving lung cancer science forward. This session, which is titled “How Advocacy is Driving Science,” is designed to highlight how advocates, scientists, and clinicians can work together to catalyze progress against lung cancer. Advances made against lung cancer are positively impacting the lives of patients like Donna Fernandez, who was a participant in one of the clinical trials testing the immunotherapeutic nivolumab (Opdivo) for patients with metastatic, nonsquamous non–small cell lung cancer, an indication for which it was approved in October 2015. We hope that we will soon be learning how the research presented at the AACR-IASLC conference is being translated into new approaches for lung cancer prevention, early detection, and treatment.